Food so good, you just can't resist. That's how we feel about our fabulous breakfast and lunch menus that will have you coming back again and again. How about a taste of our Door County Bakery Quiche, made with Jean's pastry crust? Or, maybe Cinnamon Oat Cherry French Toast served with Door County maple syrup? For lunch, enjoy a hearty bowl of Black Angus Chili or the "Casablanca," pulled-pork tenderloin served on our signature Corsica Loaf™. See our full breakfast and lunch menus. 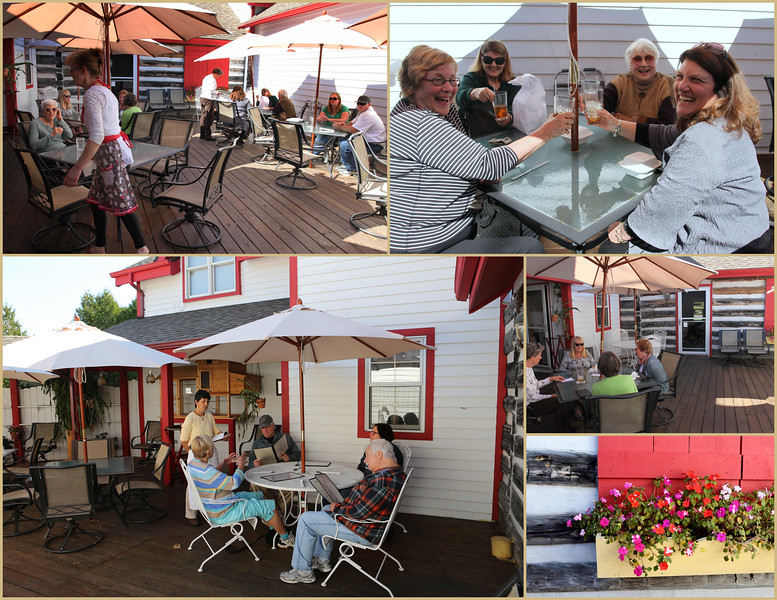 During the summer, we offer comfortable dining on our beautiful outdoor patio. Perfect for dining with friends. Savor one of our mouth-watering dishes while taking in a fresh Door County breeze. Don't forget the cappuccino, made to frothy perfection by Don, himself. 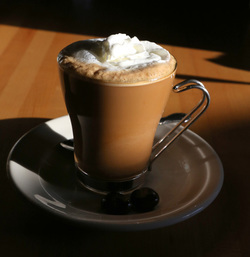 Learn more about our Door County Bakery Cappuccino bar. Corsica Loaf, cappuccino, bakery, baked goods, Door County, bakery, breakfast, lunch, cherry pie, stove oven breads, ship to your home.